Source: Sulzer Pumps Solutions Inc. 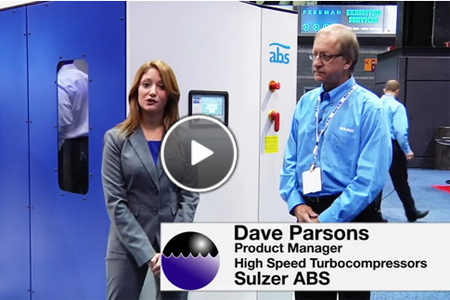 In this video, learn how the newest high speed turbocompressors from Sulzer Pumps can provide optimal operating efficiency with minimized energy consumption. Features such as magnetic bearings, a silent motor, and intuitive touch screen technology minimize maintenance costs for operators at wastewater treatment plants and other low-pressure industrial operations. MORE FROM Sulzer Pumps Solutions Inc.